Hold up folks, before you sink your teeth into the new Heavy Vehicle National Laws (HVNL) that took effect in October, remember that this is just the entrée. 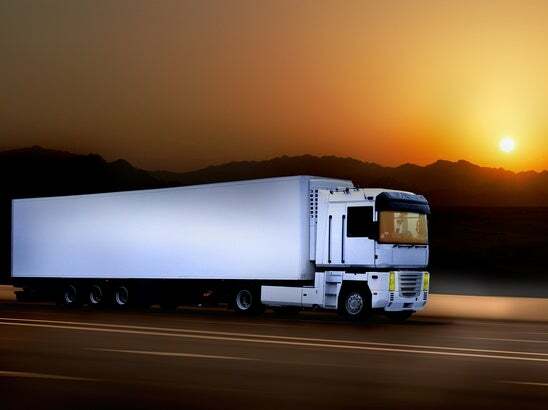 On 24 August 2018 the National Transport Commission (NTC) announced that it “expects to draft a whole new Heavy Vehicle National Law... after it completes its review of the existing law”. The announcement comes in circumstances where the NTC identified that the current HVNL “does not reflect best practice” and tends to be “overly prescriptive” - a statement to which those who have had to navigate the provisions of the HVNL, the 2016 amendments, 2018 amendments as well as regulations on fatigue, mass, dimension and loading and vehicle standards may agree. So what steps might the NTC go through in its review? The NTC stated that it intends to engage in public and industry consultation for what it calls the ‘back-to-basics’ review. The review will be broad sweeping, including a review of safe and efficient access, accreditation, fatigue management and telematics. In relation to the procedure that the NTC may adopt, if past regulatory reviews are anything to go by, Chain of Responsibility (CoR) parties can expect the NTC to convene a review panel to scope the works, engage in public consultation, assess issues and options available to resolve key problem areas and come up with a draft law for further comment before smoothing out any bumps for implementation. This means if CoR parties or industry groups want to have their say on what works and does not work about the HVNL, opportunities to make submission to the NTC’s review panel should arise. If CoR parties or industry groups intend to make submissions to the NTC, they should start thinking about what pitfalls they or their members experience in their businesses relating to implementation and compliance with the HVNL. They should also consider what data or examples they can use to demonstrate their concerns. What might the provisions look like? At this stage, there is a high degree of speculation around the structure and terms of a new HVNL. Based on the NTC’s desire to move away from prescriptive terms and towards performance-based terms, one can imagine that a revised heavy vehicle law will more likely take a principles based and compliance-oriented approach to regulation rather than a rules-based approach to regulation. Principles-based regulation in the context of the HVNL offers a more flexible way of regulating CoR parties. It expresses fundamental obligations that CoR parties should observe. This is as opposed to a rules-based approach to regulation, that tends to be a lot more detailed and provide CoR parties with specific steps that must be taken to achieve compliance. A prime example of a recent move towards principles-based regulation over rules-based regulation is the introduction of the primary duty under the new HVNL and the consolidation of specific extended liability provisions into that overarching positive obligation. The primary duty requires all parties in the Chain to ensure, so far as reasonably practicable, the safety of their transport activities. The obligation does not state exactly what each CoR party must do to achieve compliance, but rather the ends that they must strive towards (i.e. safety of their transport activities) in the context of their organisation and their relationships with other businesses in the Chain. Another example of a recent shift towards principles-based regulation is the introduction of the obligation for executives to exercise due diligence to ensure their businesses comply with their safety duties. Again, this obligation requires the regulated subjects, executives, to achieve a particular ends, rather than prescribing the particular acts executives must take to achieve those ends. Principles-based regulation combined with enforcement schemes that involve co-regulation by industry and the Regulator as well as options for escalating enforcement options (such as, options to issue defect notices for one-off breaches, up to formal prosecution for ongoing non-compliance) tend to provide industry with laws that are easier to understand and apply and laws that are less costly to implement and monitor. A return to the ‘basics’, which the NTC advocates for, may very well see a HVNL that is shorter than the 750 or so sections that CoR parties have become accustomed to, with terms more like the primary and executive duties that took effect in October. Does this mean CoR parties should hold-off on implementing systems that revolve around the new HVNL? The short answer is ‘no’. The long answer is also ‘no’. It may be a few years before we see a revised draft law for the heavy vehicle transport industry, let alone one being implemented. For now, CoR parties must ensure that they are complying with the law, as it stands. It is absolutely not a defence or excuse to say ‘I didn’t want to invest too much time in compliance as I know that it is potentially going to change in the near/mid-future’. Also, given that the CoR safety aspects have only just been amended, after a significant period of consultation and development, it is likely that they will not be substantially recrafted as a result of the ‘back-to-basics’ review. * A version of this article was originally published in CoR Adviser. This article is © 2018 Portner Press Pty Ltd and has been reproduced with permission of Portner Press.